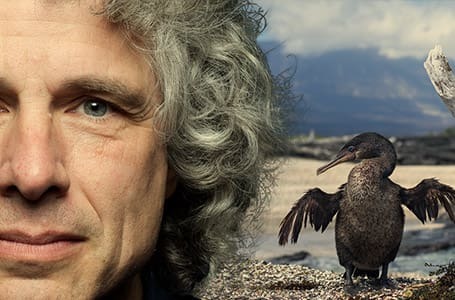 Quasar Expeditions has partnered with award-winning photographers to lead specialty photography cruises in 2019, 2020 and 2021 aboard its iconic yacht, the M/V Evolution. Whether you are an amateur or a professional photographer, if you have a passion for photography, then these adventures are for you. 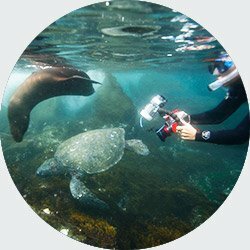 They will help you develop or master your photography skills, to take those once in a lifetime shots in Galapagos with the guidance and company of our amazing photographers. Daily excursions include professional tips on simple techniques and lighting. 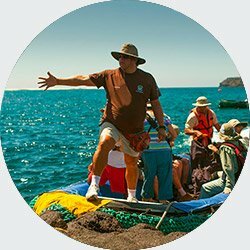 Start Planning Your Galapagos Photography Cruise! 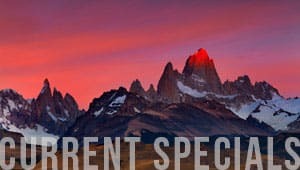 With a completely new concept for adventure travel, Quasar Expeditions, for over 30 years, has led private adventurous travelers to some of the most astonishing destinations in South America leaving memories that last a lifetime. I am always excited by new prospects to experience our wild earth and the photographic opportunities they offer to the bold. 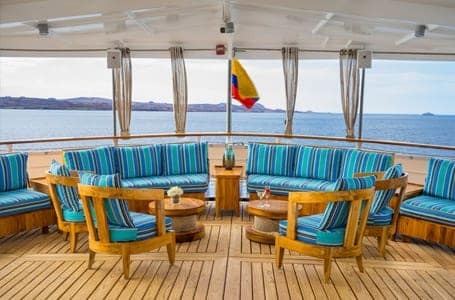 Join renowned photographer Harry Skeggs on an epic cruise in the Galapagos with Quasar Expeditions. 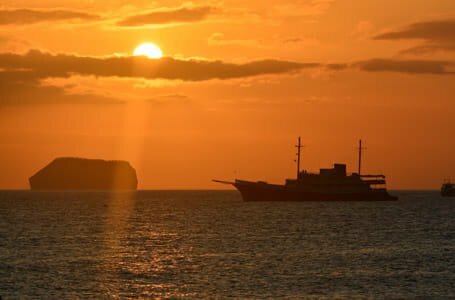 Visit the best of the Galapagos archipelago on this 8 day adventure, including the wild western Islands of Fernandina and Isabela. 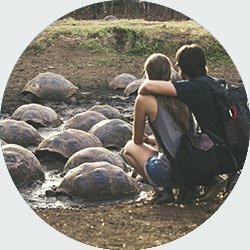 Enjoy maximum wildlife encounters with species that include penguins, marine iguanas, flightless cormorants, waved albatross, sea lions and more... Our daily program will have us on shore, when the pace of wildlife behavior picks up to a vibrant crescendo, and other tour groups are noticeable by their absence. 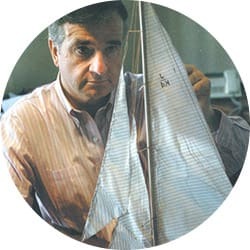 Daily excursions include tips on techniques and lighting from Harry Skeggs. Small workshops will be offered each evening that guests can opt in and out of. You will be accompanied throughout the cruise by 2 Quasar / National Park Naturalist Guides who are well-versed in photography. Our pace will be relaxed and sensitive to wildlife activity and the needs of all travelers, with flexible timing to make the very best of each opportunity encountered. 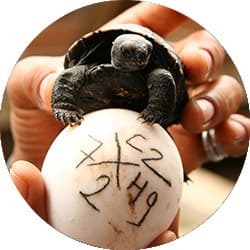 Your participation includes a donation of US$ 200 per person for Galapagos Conservation. Retail Rates are per person & are valid from January 1-31, 2020. * All other cabins have 1 Queen bed or 2 Twin beds (see deckplan). 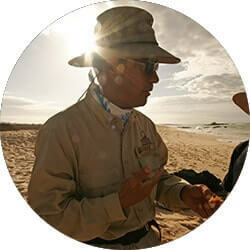 Join renown photographer Tui de Roy on an epic cruise in the Galapagos with Quasar Expeditions. 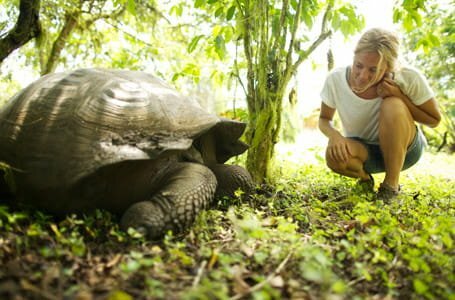 Visit the best of the Galapagos archipelago on this 8 day adventure, including the wild western Islands of Fernandina and Isabela. 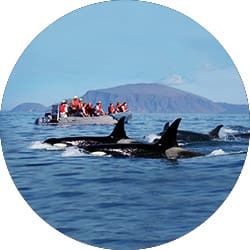 Enjoy maximum wildlife encounters with species that include penguins, marine iguanas, flightless cormorants, waved albatross, sea lions and more... Our daily program will have us on shore, when the pace of wildlife behavior picks up to a vibrant crescendo, and other tour groups are noticeable by their absence. The pace of these departures will be relaxed and sensitive to wildlife activity and the needs of all travelers, with flexible timing to make the very best of each opportunity encountered. 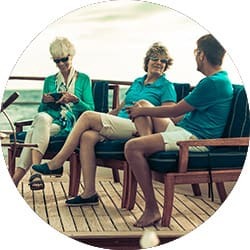 This will be complimented by the deep insight of Tui’s 50 years experience documenting these magic islands, bringing to life daily details of behavior, lighting, composition and more, which are so easily missed during shorter, fast-paced tours. Retail Rates are per person & are valid from January 1 through December 31, 2020 or 2021.